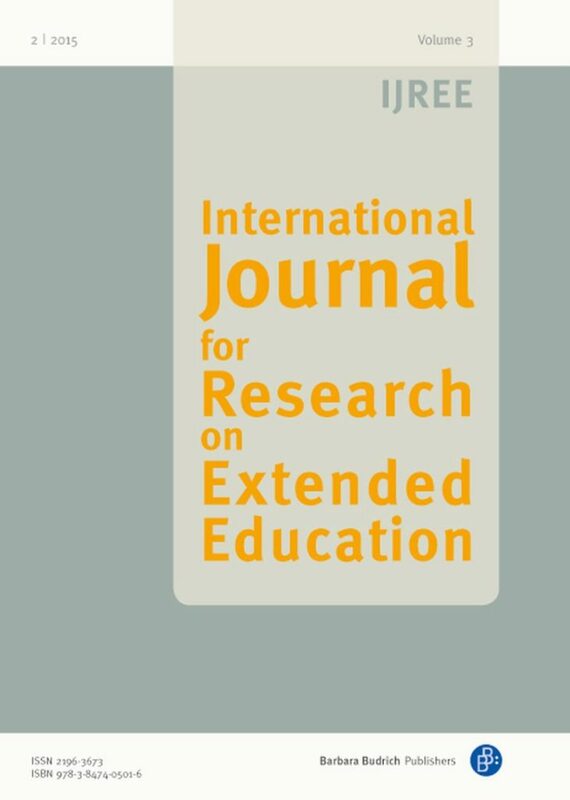 The newly launched International Journal for Research on Extended Education aims at creating international visibility and a stronger scientific profile for the research field of extended education. The Journal is published by a group of internationally renowned educational researchers and is funded by the German Research Foundation (DFG). From early childhood to late adolescence, young people are enrolled in various public or private forms of educational arrangements. Some of them, particularly pre-school-aged children, attend kindergarten or participate in early learning courses. School-aged children often participate in school- or community-based programmes, forms of private tutoring or after-school activities such as art courses or academic clubs, or they attend all-day schools. In as far as these activities and programmes focus on the social, emotional and academic development of children and young people and are pedagogically structured to make it easier for the participants to learn specific contents they can be summarized by the term extended education.